Is this intentional in the latest Karthgad file? All the door markers are under the actual town! Edit: To further clarify, there are no npcs in this file as well. I assume these are still to be re-implemented? If it's intentional, we can fix the door marker issue in this esp, and then merge to the mainfile I am making, but perhaps there is a newer version of this file? It's intentional I believe. IIRC, Worsas left the markers where they were in a previous take on Karthgad. 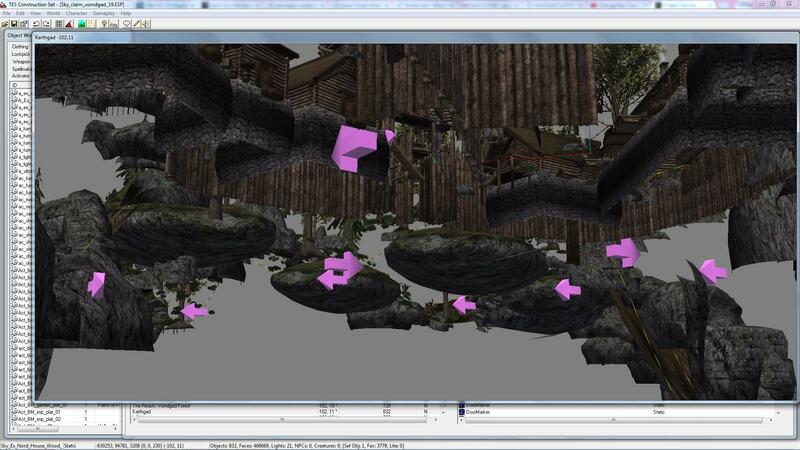 It had something to do with Yeti working on Karthgad NPCs (and their housings?) by the time, I think, but I can't find relevant discussion about it now. I left the markers where they were, yes and removed npcs from the town. The person putting the doormarkers to their new places should also take care of the north markers within the respective interiors. I'll do that in this file tomorrow then, and post it as a separate .esp as well as including the same in the exterior merge. Then it will be ready for NPCing either way.